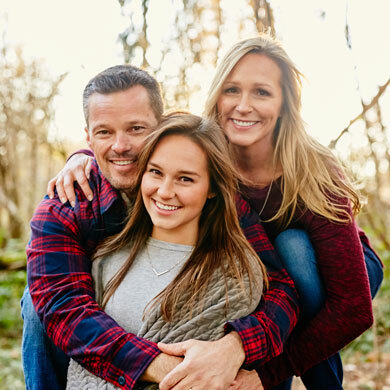 We have over 40 years' experience serving the oral health needs of the Burien community, so you and your family can rely on us for all your dental needs. We're dedicated to exceptional dental care using updated technology in a welcoming, patient-friendly environment. We treat family members of all ages and offer all the general dental services needed to ensure happy, healthy smiles. We're pleased to treat patients of all ages with care that fits their needs. We provide a wealth of preventive, restorative, and cosmetic services to keep all the smiles in your family healthy and happy. If you're struggling with missing teeth, our innovative dental implants may be the answer you need to regain your beautiful smile, boost your confidence, and improve your quality of life! Tired of not having beautiful, straight teeth? Do your kids need braces? 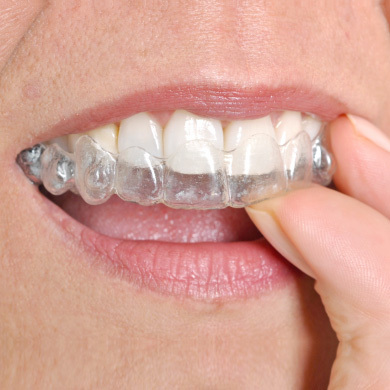 We offer several ways to straighten your teeth including clear aligners like Invisalign so people don’t have to know you have braces. Our team strives to ensure that every experience you have with us as a positive one. We offer a wide range of treatments in one location for your family's convenience, and each treatment is performed with the utmost care and concern for your personal needs and desires. We believe oral health should be a collaborative experience with you in the driver’s seat. Whether you are trying to maintain your current oral health or get out of pain and rebuild your smile, we will listen to your needs and help you reach your goals. We get that the dentist is not everyone’s favorite place to be. Whether it’s time, money, or fear, our goal is to make sure you have a positive experience that’s both comfortable and productive so that you can smile your best smile as you leave. We see each person who walks through our doors as our valued guest and part of our extended family. Our family-oriented practice offers the same standard of care and respect that we would expect for ourselves and our families. As soon as you walk in, you'll be greeted with our warmest smile. We'll then collect some new patient information to get to know you a little better. The first step is to take a clear image of your mouth with our digital x-rays and intraoral cameras. Then Dr. Sessions will sit with you and discuss any necessary treatment and answer any and all questions you have. You will get a treatment plan so that you know what the next steps will be and how much they will cost. Once you determine your treatment plan, Burien dentist Dr. Blake Sessions will proceed with the procedure. He will let you know if there's any additional treatment needed, and we will set goals to help you achieve the smile of your dreams. "Making an appointment was easy and I was sitting in the waiting room for less than 5 minutes. Awesome care. I can say without reservation that I feel fortunate to have found this place." "Amazing service, the receptionists were helpful, kind, and friendly, and the appointment was as smooth as butter. The assistants took time to help and assist me in any way possible, and answered my questions without hesitation. They have earned a customer for life." "Their technology is all current and everything is very clean. I have worked in the dental industry in the past and know they use great products." "The customer service is awesome, the dentists are knowledgable and straightforward about everything. I had a root canal and it didn't even hurt...practically fell asleep in the chair. Go team." 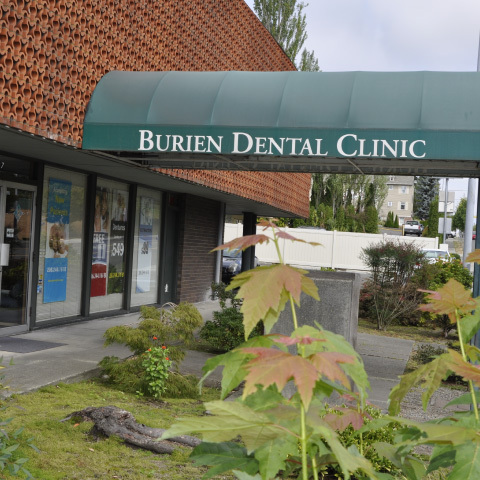 Welcome to Burien Dental Clinic! We are pleased to provide outstanding dental care for friends and neighbors in Burien, White Center, Normandy Park, Kent, Des Moines, and the surrounding areas. Dr. Blake Sessions is a third-generation dentist who became interested in caring for others at the tender age of five years old while sitting in his grandfather’s dental chair. His interest transformed into a lifelong passion for ensuring that every patient has access to the quality dental care they need and deserve. One area that is particularly important to Dr. Sessions is patient education. Experience shows us that patients who understand their oral health needs are more confident when they have to make a decision about treatment. Our goal is to provide personalized comprehensive family dental care in a positive and fun environment. We are dedicated to treating you with honesty and respect because a trusting relationship makes it easier for you to turn to us if you have concerns. We are a family-centered dental practice that caters to the needs of all ages. Dr. Sessions enjoys treating patients ranging from toddlers ready for their first visit to seniors who have their own unique oral health needs. In college, Dr. Sessions majored in psychology and studied childhood development so he's well-equipped to handle the unique needs of children. He also minored in gerontology where he learned about issues that the elderly face. Dental care can be a chore for some people, so we want to make it as easy as possible for you to keep up with the treatment you need. For your convenience, we are open Monday through Saturday from 8 AM to 6 PM. This allows you to schedule appointments at your family’s convenience. Our office is near many neighborhood schools, including Seahurst Elementary, JFK Catholic High School, Highline High School, and many others, so you can easily arrange family appointments after school hours. Feel free to call us to set up an appointment or use our convenient online appointment scheduling. If you have a dental emergency, please call our office, and we will make arrangements to see you as quickly as possible, usually the same day. The cost of dental care is often a hurdle for people in need of treatment. We don’t ever want you to feel that you must make a choice between your budget and good oral health. We are in network with numerous insurance providers, including Aetna, Cigna, Delta Dental, GEHA, Humana, and many others. Even if we’re not in network with your insurance, we will be happy to file your claim on your behalf. We also accept CareCredit, an interest-free healthcare credit card that can be used for numerous healthcare expenses, including dental, vision, dermatology, and even veterinary! Whether you don’t like going to the dentist and it’s been a while since your last visit, or you are looking to change something about your smile or just want to achieve great oral health please call Burien Dental Clinic. We think that after just one visit you will see the difference that excellent dental care and attention to your needs can make to your oral health. The best compliment we could receive from our patients would be their reviews.Use the icons below to choose where you'd like to write your review. Rate your experience and write your review. It's easy to do, and you'll be helping other patients to make better informed decisions.